Information about purchasing tickets for Ballet Chelsea's upcoming company performances is below. For more information, please contact us at info@balletchelsea.org. 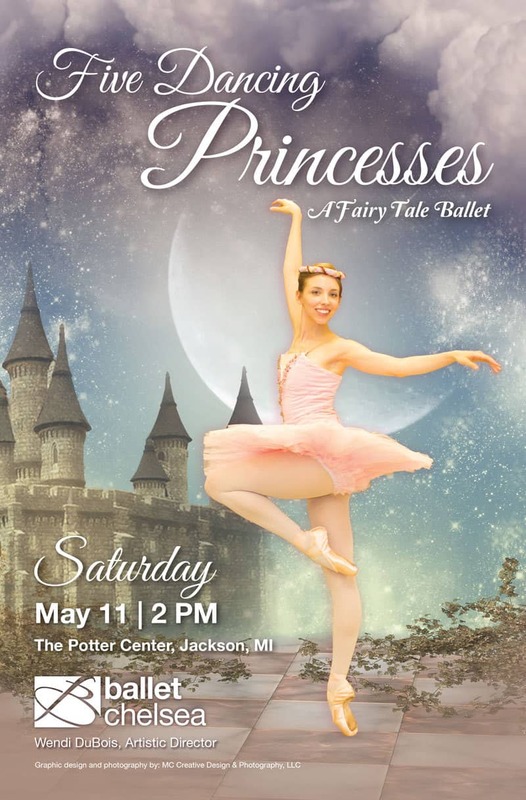 Ballet Chelsea is pleased to present "Five Dancing Princesses" at The Potter Center in Jackson, Michigan. This original full-length ballet by Artistic Director Wendi DuBois and set to music by Wolfgang Amadeus Mozart.